Managing the day-to-day demands of a specialist practice means choosing the right software solution that’s robust, secure and reliable, and designed specifically to meet the needs of specialists. 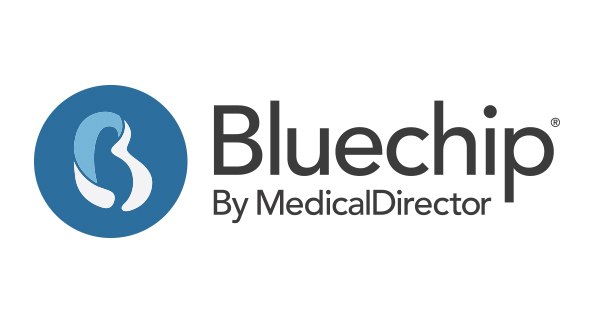 Bluechip, an innovative specialist practice management tool from MedicalDirector, has allowed the Northern Peninsula Oral and Maxillofacial Surgery to leverage an easy to use, streamlined and efficient solution that integrates seamlessly with the practice’s wider IT infrastructure. The Northern Peninsula Oral and Maxillofacial Surgery offers a range of specialist healthcare services, from dental implants and extractions, to more complex tumor and corrective facial surgeries. Practice Manager, Chrys Richards, said the Surgery has used Bluechip across its practice located in Kingswood since 2005, and more recently, moved its Dee Why practice to Bluechip in April 2018. When the Northern Peninsula Oral and Maxillofacial Surgery was implementing its IT infrastructure, it wanted a solution that was not only quick to set up and use, but was specifically designed for specialists. "Our previous system wasn’t ‘medical-friendly’, in the sense that it understood some of the dental aspects of our workflow, but it didn’t meet our specialist medical needs like integrating with Medicare and WorkCover, and bulk-billing," Chrys said. The practice also needed a solution where it could easily book patients in for consults, book patients into hospitals or in theatre, securely manage patient records, as well as manage finances and accounts. "At the same time, we didn’t want anything too complex, or anything that would complicate our workflow. That’s why we decided to switch to Bluechip, because it was able to do all those things our specialists needed. Plus it was very easy to set up and use." Since implementing Bluechip, the Northern Peninsula Oral and Maxillofacial Surgery has not only found managing its workflow easier and more efficient, but maintaining the financial aspects of the practice more transparent. "It’s so easy to generate reports and quickly access patient records," Chrys added. "From an accounting perspective, you get a clear snapshot of how much you’ve made in a day, which makes managing our financial flow so much easier." And with a solution that is quick to set up and use, Chrys said even new team members could understand the functionality and process. "What’s great is that if a new person is using it, they can pick it up quickly," she explained. "They can manoeuvre through all the functionality with ease. We’ve also had excellent support from MedicalDirector. We like the fact that the support team are so helpful, calm, patient and always help us resolve our queries. Another aspect Chrys finds helpful is the visual aspect of the program’s layout, which makes managing the day-to-day workflow very clear and simple. "I’d recommend Bluechip to any specialist looking for a reliable, secure program that is easy to use, maintain and manage. It’s not rocket science. It’s simple, specialist software." Bluechip handles all of your specialist practice needs, including complex invoicing, correspondence, appointments and patient management, all in a secure environment. Bluechip Day Surgery gives you one-click transfers and drag-and-drop colour-coded appointments, so you can easily manage bookings at a glance and manage patient workflow seamlessly. With an easy to use interface and a clear, visual layout, staff find it easy to start using Bluechip.